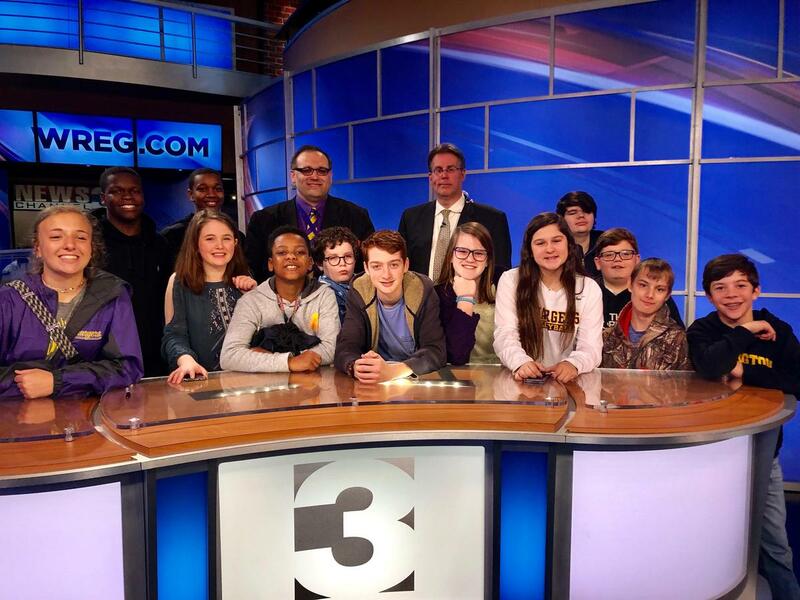 On Friday, April 5th, students from Mr. Mooney's Crestview Middle School TV Club and Challenge class had the opportunity to tour WREGTV News Channel 3. The students were shown numerous departments that are vital to getting the news on the air. Austen Onek, Meteorologist for News Channel 3, spoke about the importance of maintaining eye contact with the camera at all times during weather segments, the green screen, and the many digital presentations he uses on the green screen. Mr. Onek shared with students the requires for a profession in broadcast journalism and meteorology.